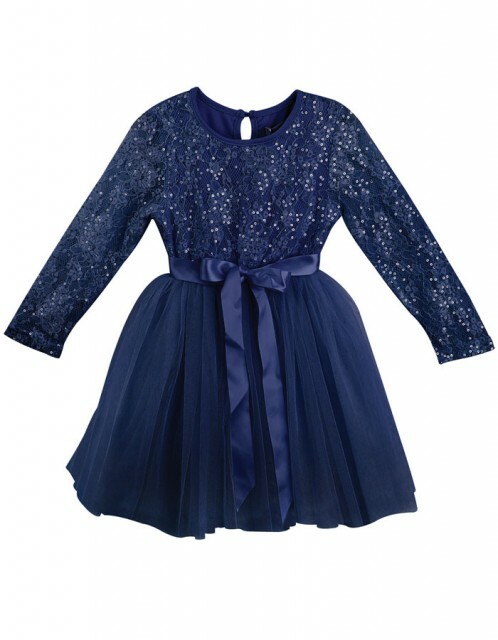 Cheap blue dresses for girls. 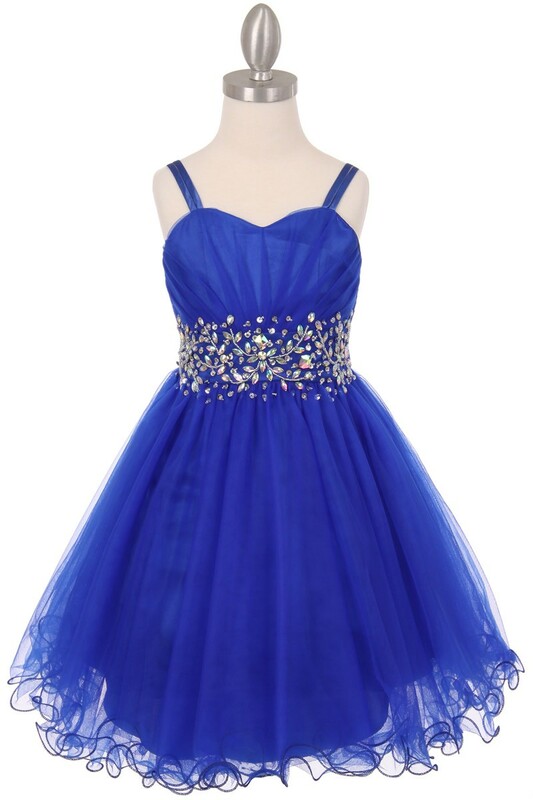 Cheap Girls blue dresses. 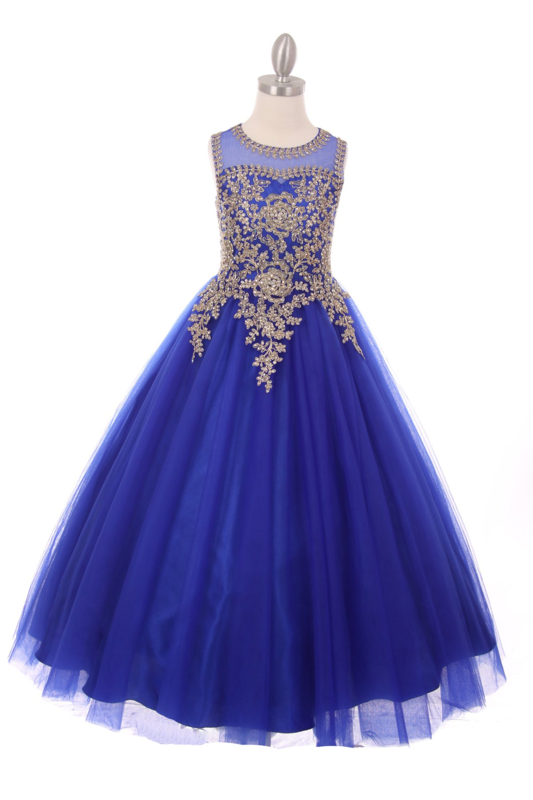 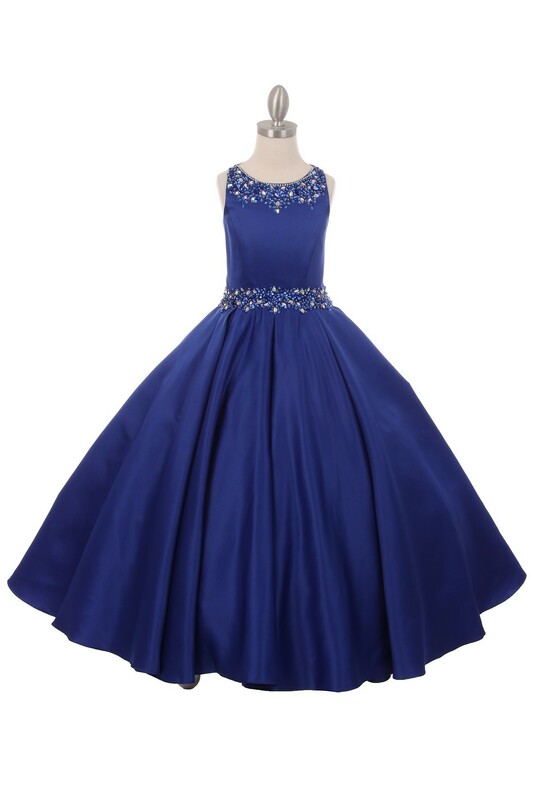 Cheap royal blue dress, cheap navy blue dress, cheap blue dress. 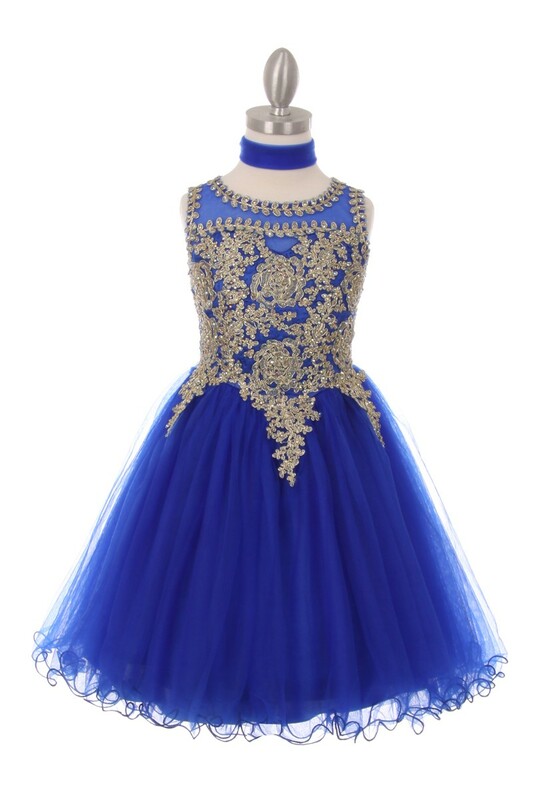 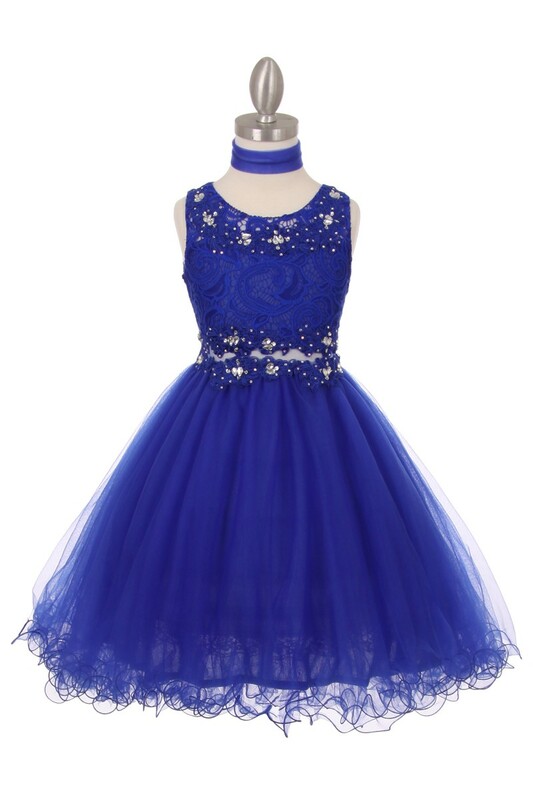 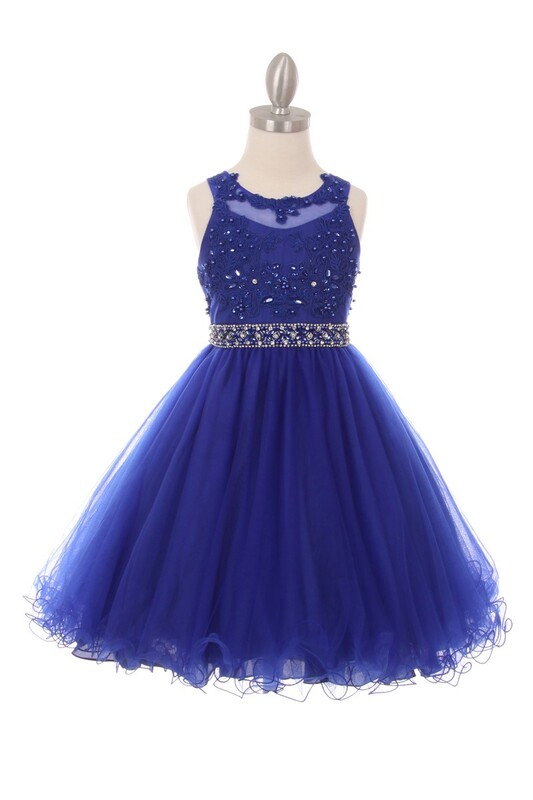 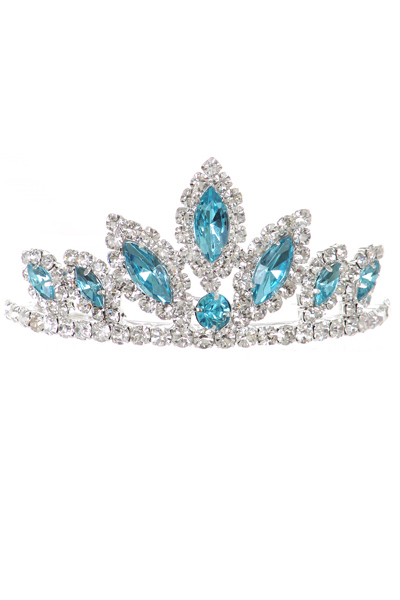 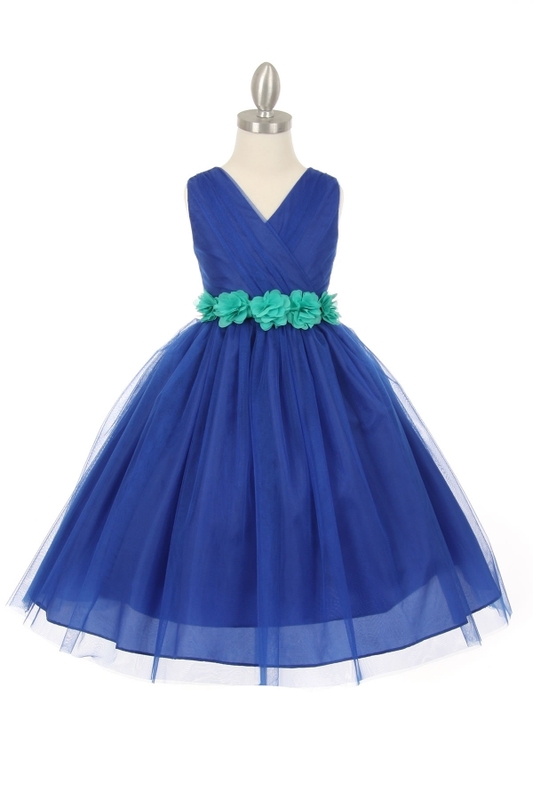 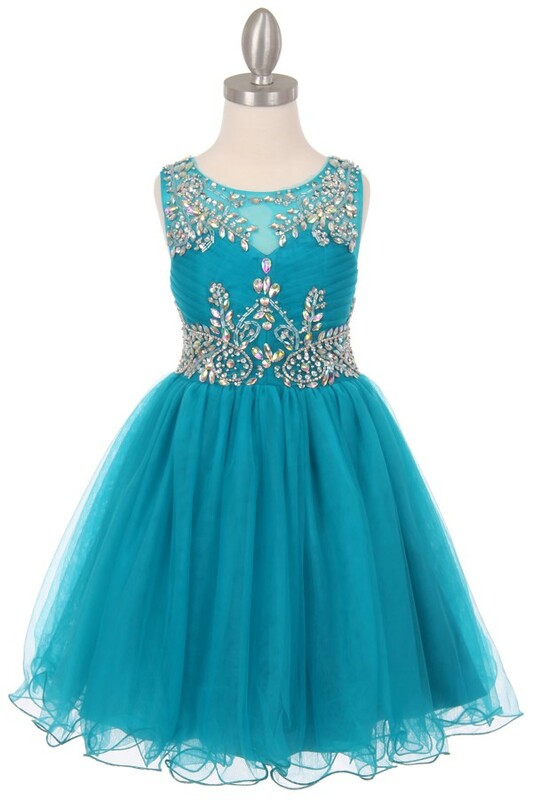 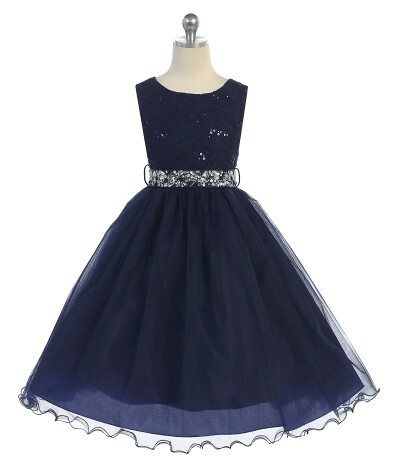 Choose from girls royal blue dresses, navy blue dresses for girls, aqua, teal, turquoise for all of your flower girls or special occasions. 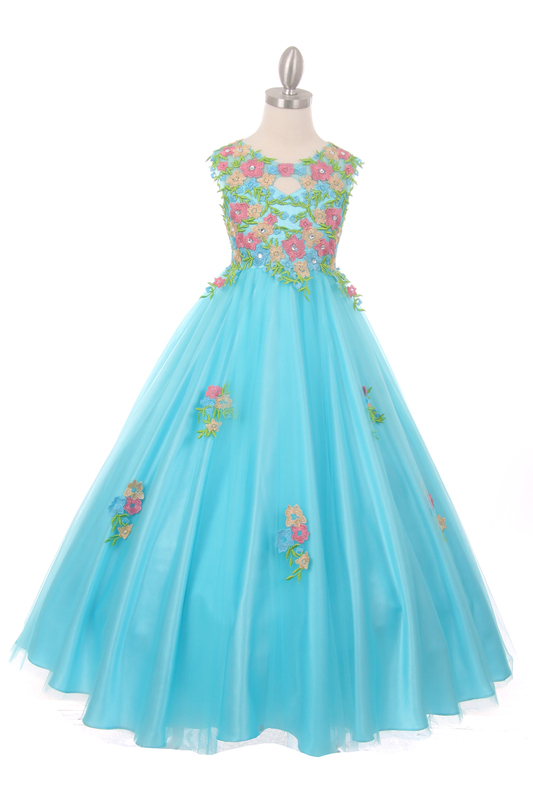 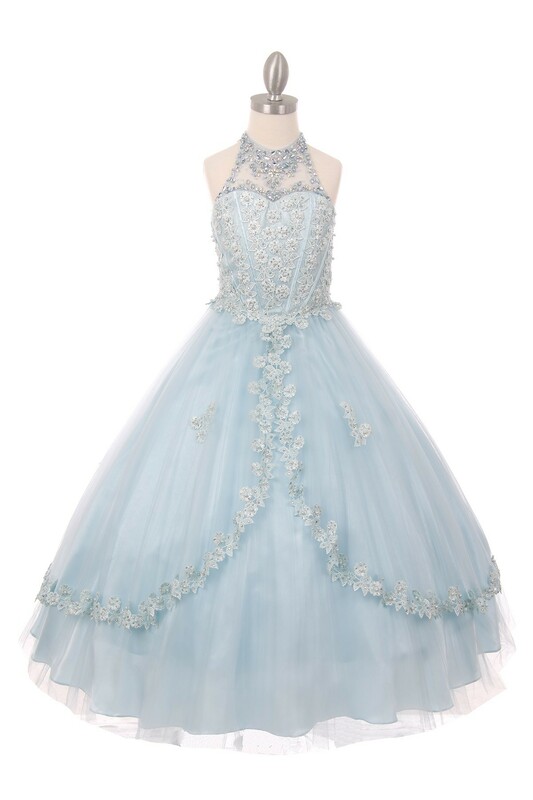 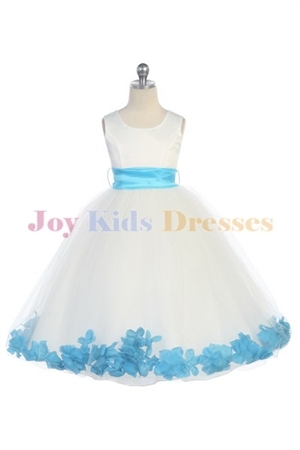 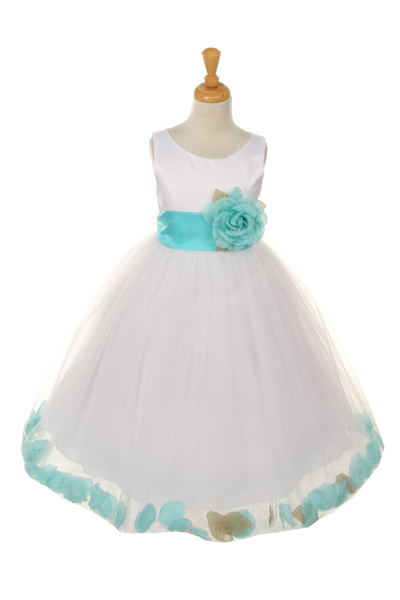 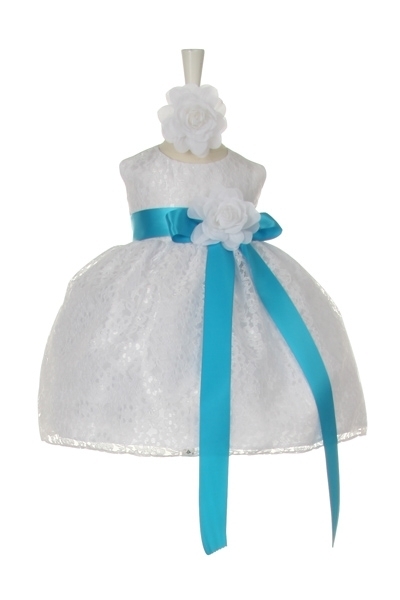 White baby flower girl dress with aqua petals and sash. 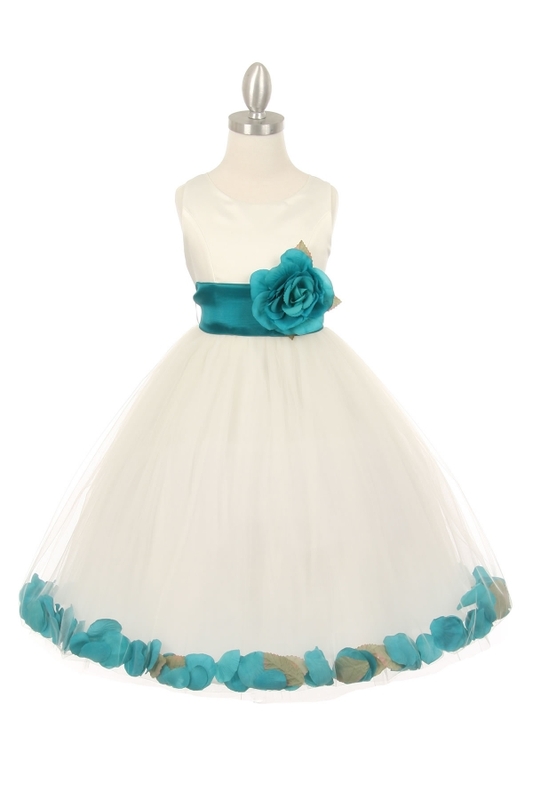 White baby flower girl dress with teal petals and sash. 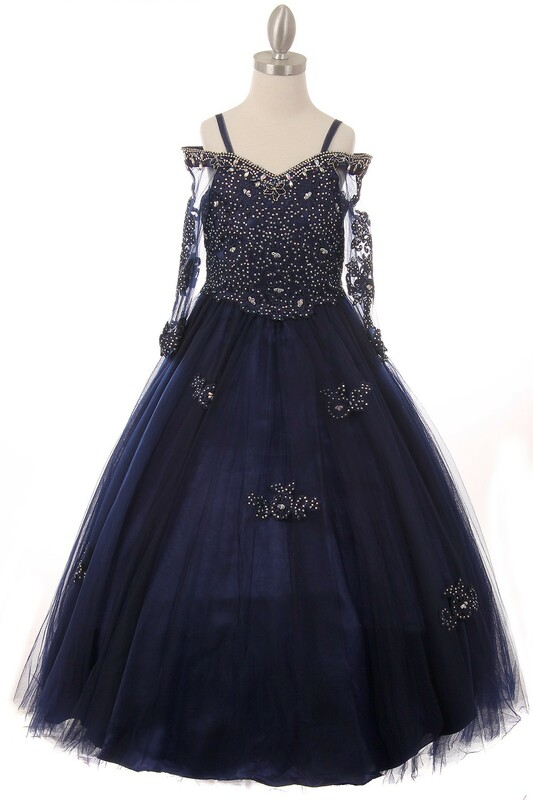 Perfect Angel ball gown with soft tulle bottom outlined with horse hair. 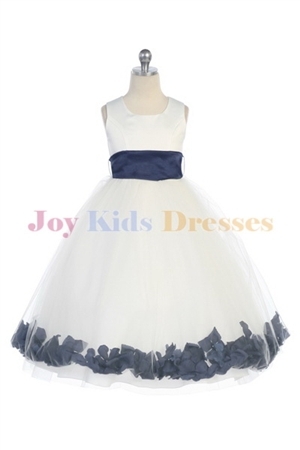 Perfect Angel ball gown with mini cap sleeves. 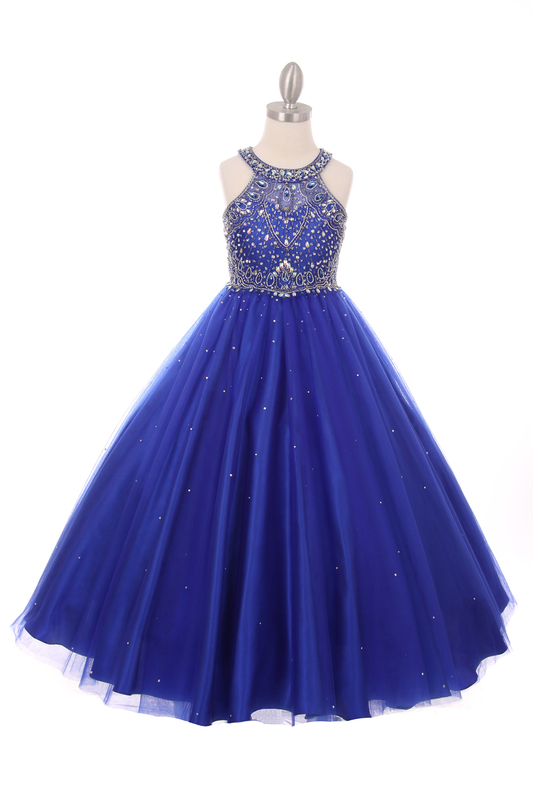 Organza bottom with AB stones. 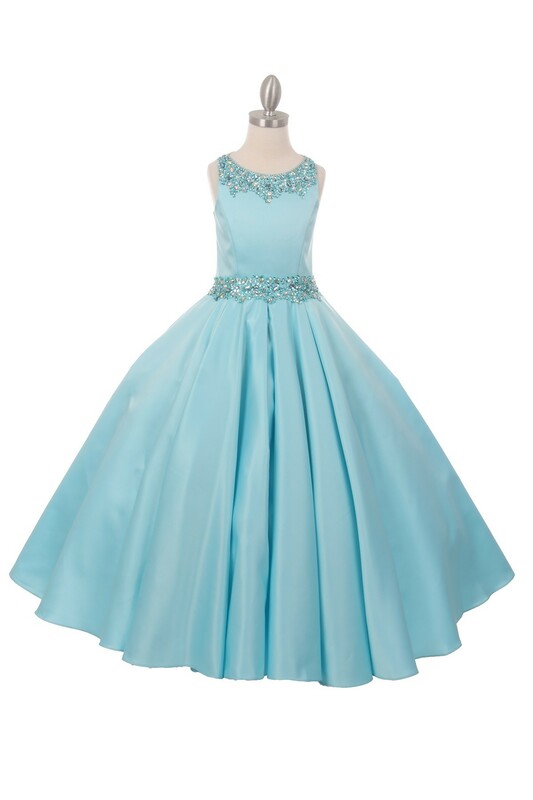 Perfect Angel ball gown with soft tulle and 3/4 mid sleeves. 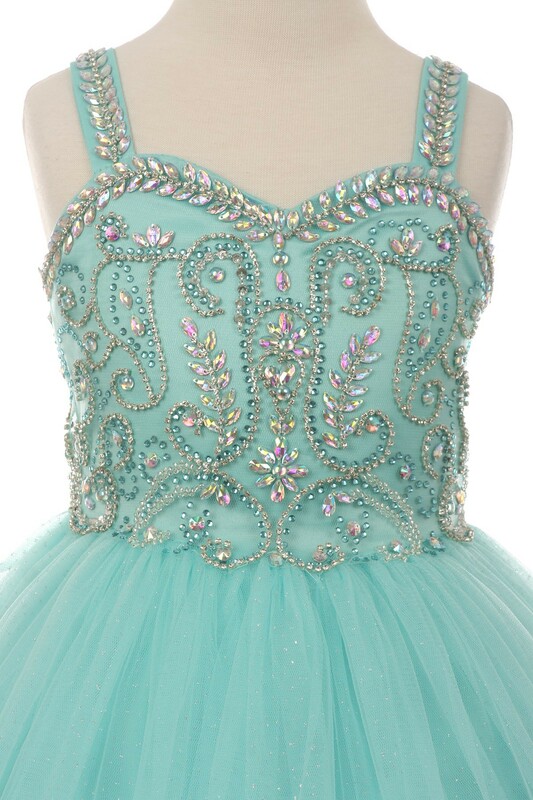 Sheer neckline. 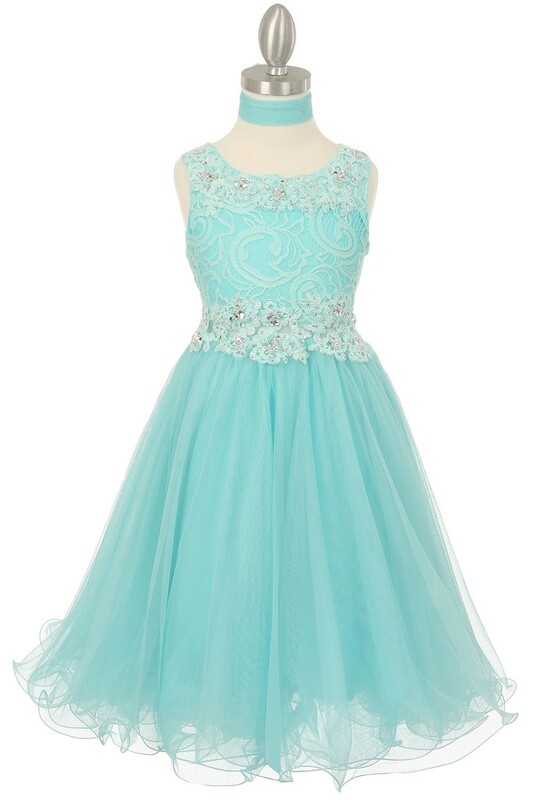 Turquoise Infant pleated dresses with pickup up skirt. 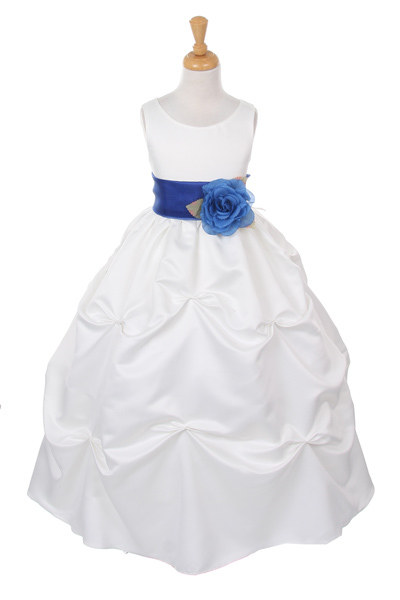 Long flower girl dresses with navy petals and sash. 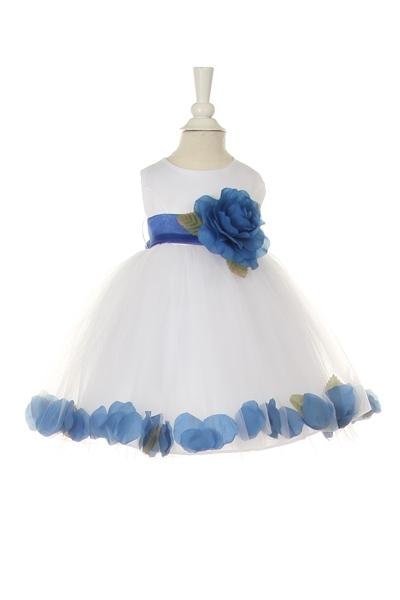 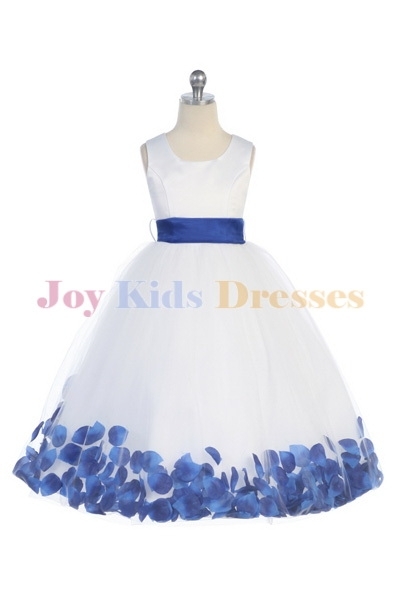 White baby flower girl dress with royal blue petals and sash. 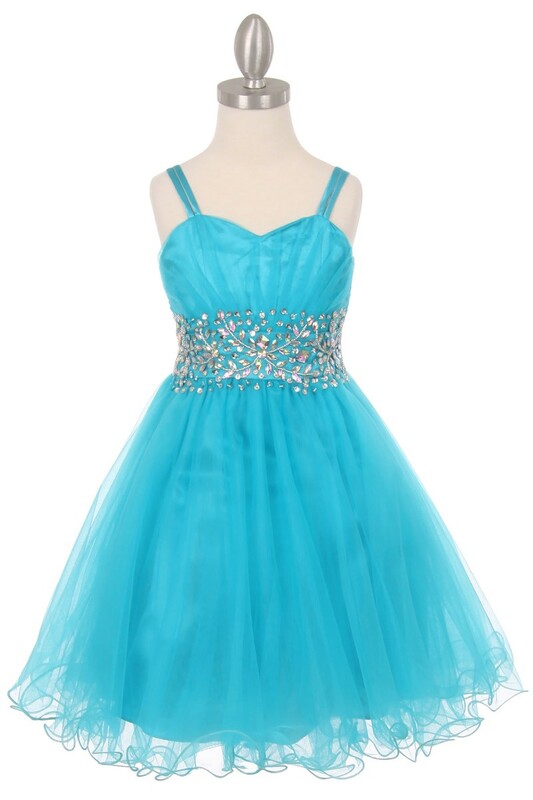 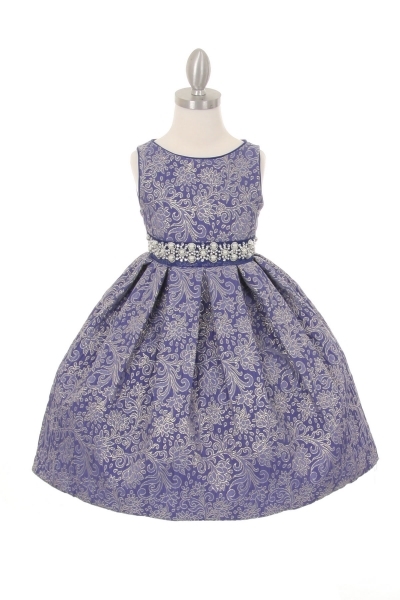 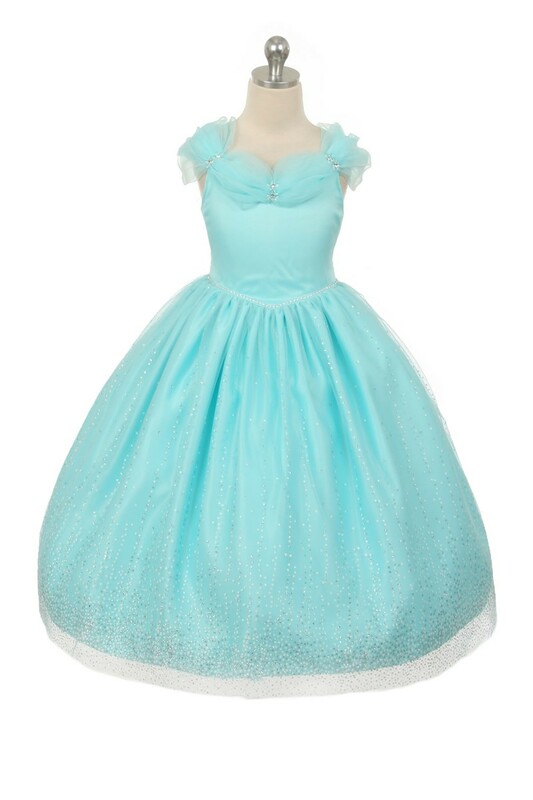 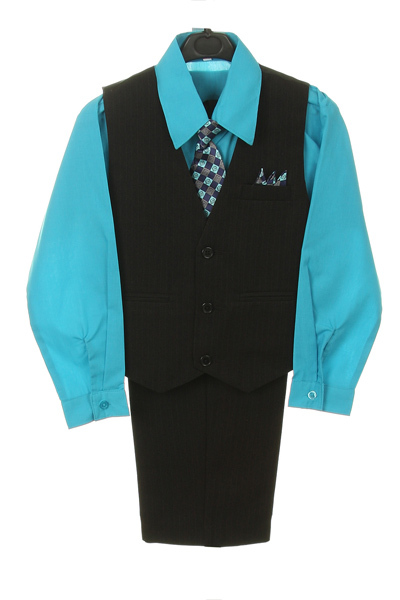 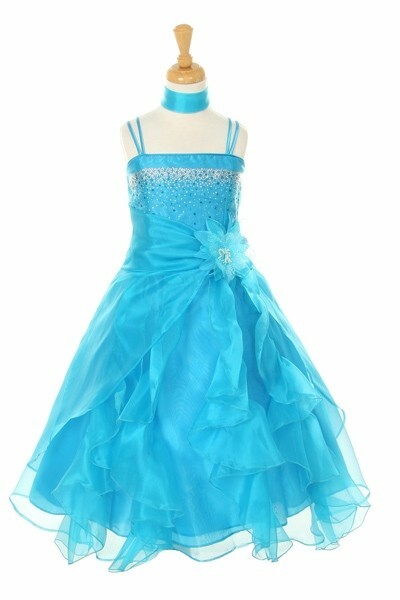 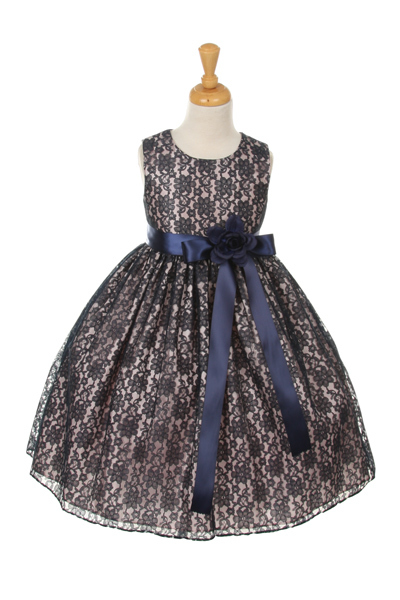 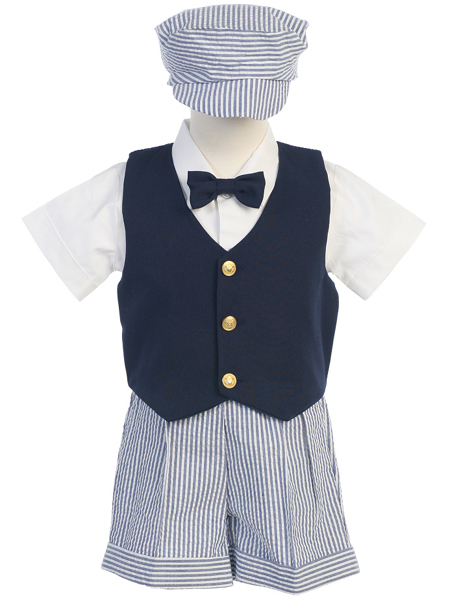 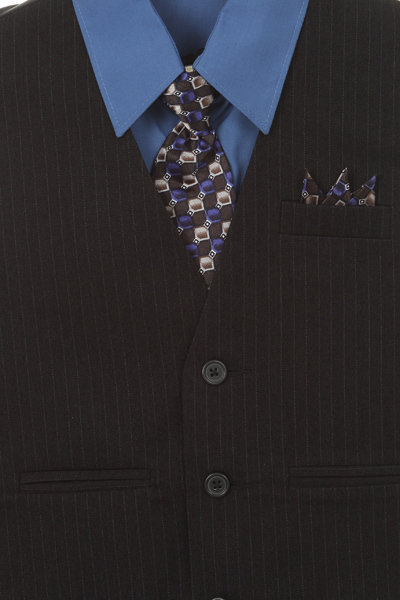 Girls Dresses on this page are limited to available sizes and colors.